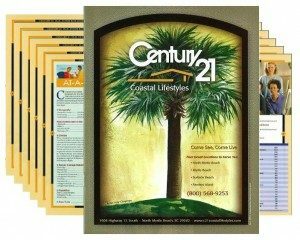 CENTURY 21 Coastal Lifestyles offers a Myrtle Beach Relocation Guide. Are you about to relocate to a new home in a new town? Moving can be exciting and just a little scary. On this website we gathered some facts that can help you find information about the Myrtle Beach area or your new neighborhood or even help you find a new neighborhood. Here you can compare local towns like Myrtle Beach, North Myrtle Beach, Little River, Pawleys Island, Surfside Beach and others for housing, costs of living, crime, education, economy, health and climate. We hope this information is of use. If we can answer any questions you have about relocating, please call or email.